Create art engagements for children and young people. In collaboration with partners, we have also reached out to children in Delhi, Jaipur, Mumbai and Bangalore. 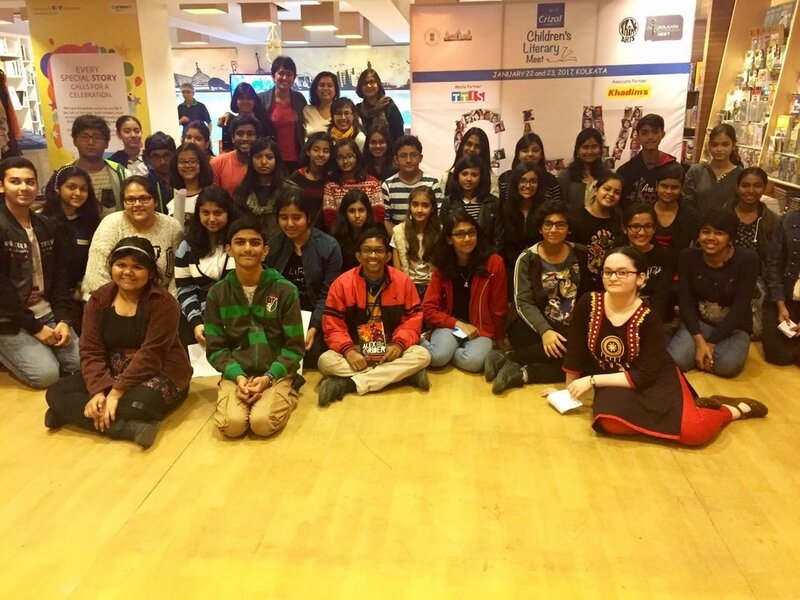 Based in Kolkata, Think Arts has collaborated with partners across India and internationally to bring a diverse programme of literary, visual art, dance, theatre and story-telling events to young audiences in several cities across India. ​ThinkArts is a member of ASSITEJ India and ISPA (International Society for Performing Arts) . ThinkArts is registered as a Not-for-Profit company under Sec.8 of the Indian Companies Act, 2013. Ruchira Das, Founder & Director, ThinkArts, is an arts administrator with over 15 years of experience of working with various arts organisations across cities in India. She is an ARThink South Asia Fellow 2015-­16 & a Global Fellow at ISPA 2016. She has conceptualised several innovative art engagements for children. Isha Daga , Creative Producer at ThinkArts, has always been passionate about music, dance and theatre. A First Class English Literature graduate from St. Xavier's College, Kolkata, she has recently found a new love - Storytelling - and has performed at various venues for the Kolkata Classics Club concerts with American pianist Jennifer Heemstra and pianist Chanda Vanderhart from Vienna, translating Talespin stories into Bengali to western classical music pieces composed for those stories. Tanya Basu With a Masters in Mass Communication from Jamia Millia Islamia, Delhi, and having worked as a TV journalist and feature show producer with NDTV, Bloomberg UTV; Tanya brings the world of fast paced media communication to the table. Having dealt with various shows and news events centering around nurturing ethnic and performing arts along with an acute focus toward addressing children centric issues, Tanya has always been sensitive towards the impact of mass media in shaping young minds and hopes to address this and a lot more through ThinkArts' creative platform. Tamali Bhattacharya has worked in various administrative capacities in organisations across Kolkata. She has a keen interest in the creative arts and engagements with children. As an Administrator at ThinkArts, she works closely with various partners and members and coordinates various activities. Abheri Dutta has done production for several projects over the last 3 years.Graduated from Jadavpur University in Comparative Literature, she found production and working backstage to be her calling. She enjoys and loves to explore new things about her field through ThinkArts and hopes to learn more and amaze young minds through her work here.